Minimum Booking = 3 nights all year round. 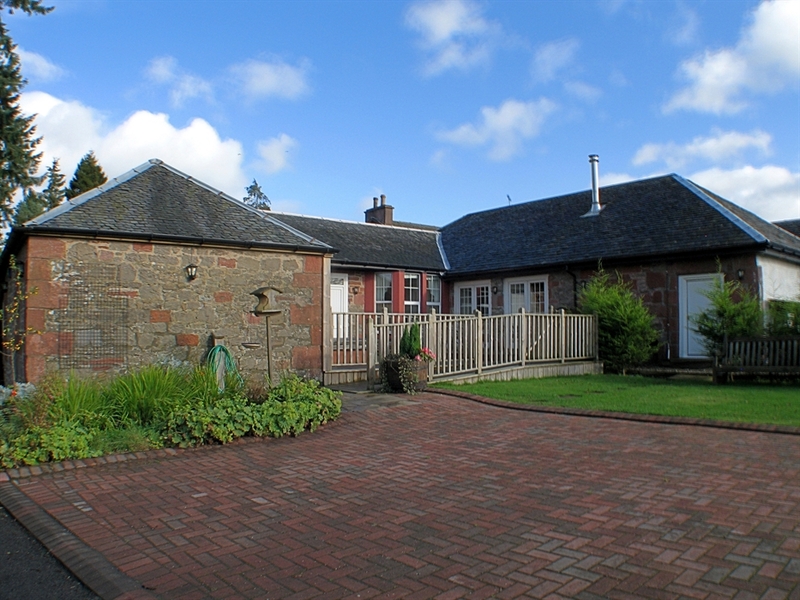 For the ultimate in 5 Star ( country cottage rated ) luxury set in a peaceful yet accessible location, look no further than Auchendennan Luxury Accomodation. 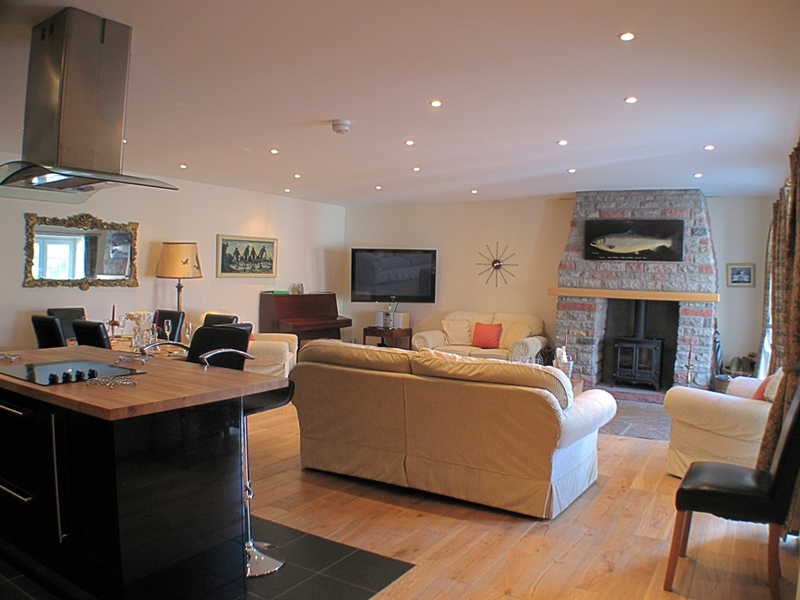 This traditional farm workers cottage has been hugely enlarged to form a sizeable luxury property. This fabulous cottage comes with 3 bedrooms , 3 bathrooms, family sauna, large hot tub out on sun decking and a massive 800 Sq Ft living room , dining room kitchen with 50 inch plasma television and real log burning fire for those nice nights in. whatever the weather there is plenty to keep all amused. All modern appliances are present and there is also mains pressure hot water to ensure all have a powerful hot shower when required. 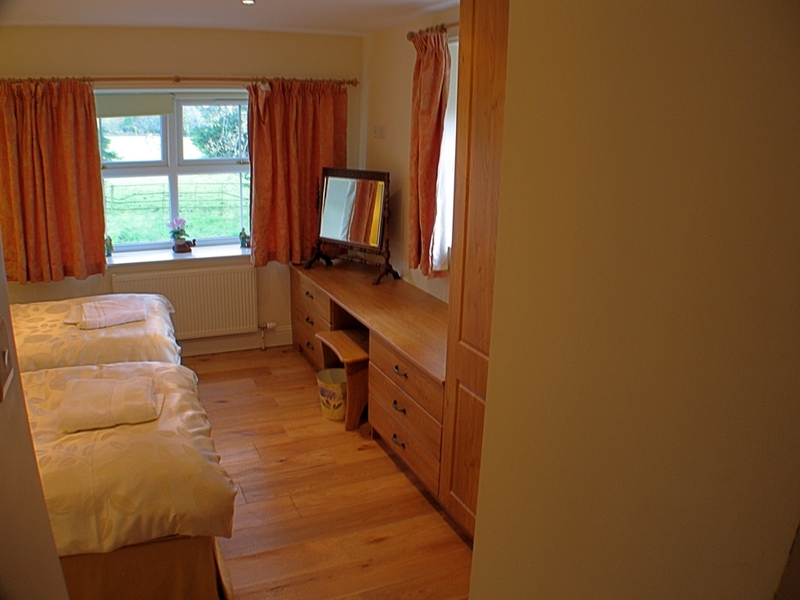 This property has been designed as child friendly and safe and also pet friendly. There are plenty of country walks immediately on the doorstep. 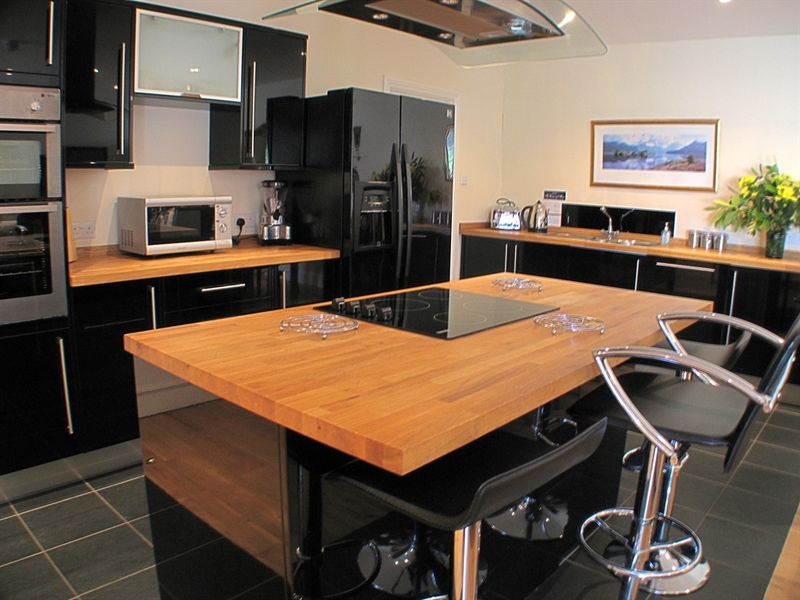 With the luxury kitchen you will be able to cater for guests of your own or maybe you would prefer to bring in an outside caterer to do all the preparation for you. The cottage is in a quiet country location, close to nature yet only a small distance away from Balloch with its many shops and services. This property is ideal for those wanting to escape in the most luxurious way possible. Ideal for wedding parties in the run up to the big day, ideal for families and friends to go in a group. The master bedroom benefits from a massive super king size bed with memory mattress. There is a 22 inch flat screen television in the room and a large en-suite bathroom. Bedroom two can be either one large double bed or split into 2 single beds. 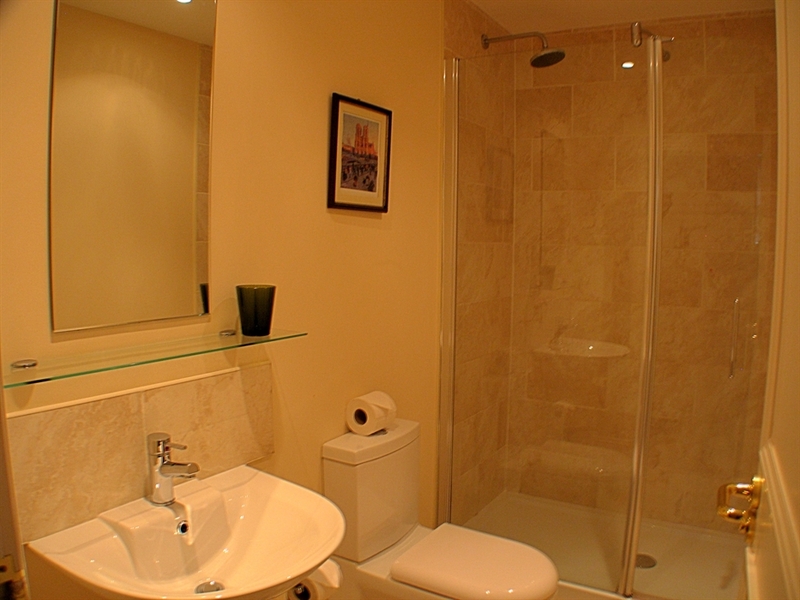 There is also a large en-suite shower room. Bedroom 3 can be either used as 2 single beds or joined together to make one large double bed. It also has its own bathroom across the hall. 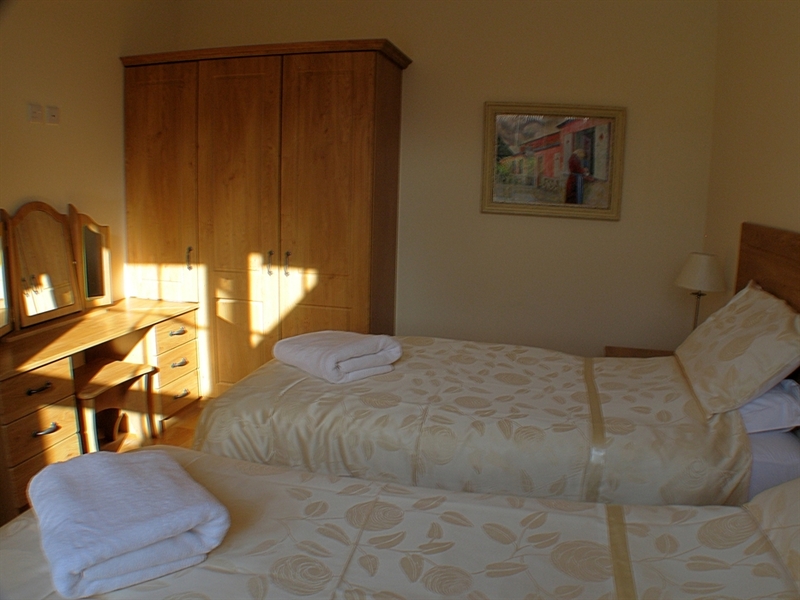 All bedrooms have fitted wardrobes and vanity tables. The whole cottage has oak flooring. The Sauna can be set on a timer to be hot for you when you arrive back from a busy day out. The hot tub with its 2 powerful pumps ensure your tired muscles get the massage they deserve. The cottage benefits from Wireless internet access so you will be able to access the internet via your own laptop computer or internet enabled telephone. There are also 5 great golf courses within 10 minutes drive as well as many luxury restaurants. Be sure to book well in advance as this accommodation benefits from the best of quality specification along with superior location. "After doing thorough research we couldn't find anywhere else that offered the same amount of luxury in such a great location for the price we paid. 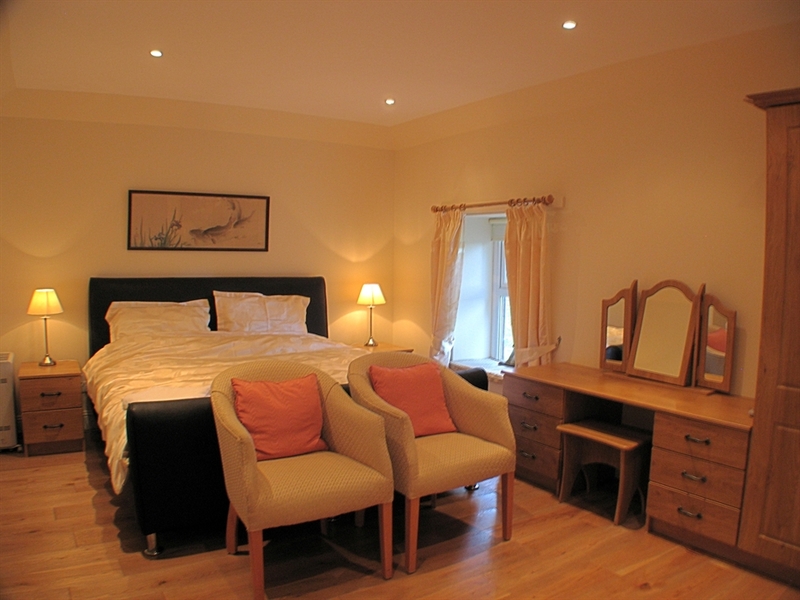 We had an amazing time and would recommend anyone thinking of going to the Loch Lomond area to stay here." Abbey and Craig, Edinburgh. "Many a great night spent glass in hand in the hot tub looking at the stars, deceptively large property. see you next year hopefully. Rebecca. "We loved it, the kids loved it and the dogs loved it. Great place with privacy and class. " Name withheld. Manchester.